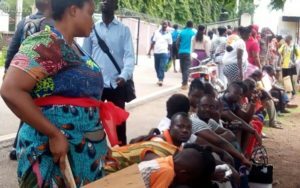 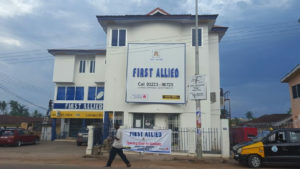 Some Stranded Customers of First Allied Savings and Loans in the Ashanti Regional Capital, Kumasi are embarking on a demonstration in connection with the financial institution’s refusal to allow customers to make withdrawals. 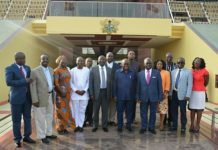 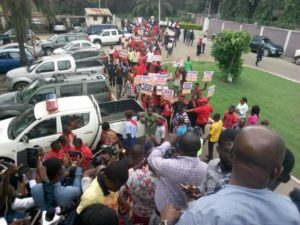 The customers continue to make efforts to recover their investments after they stormed the Manhyia Palace last Tuesday to petition the Asantehene, Otumfuo Osei Tutu II. 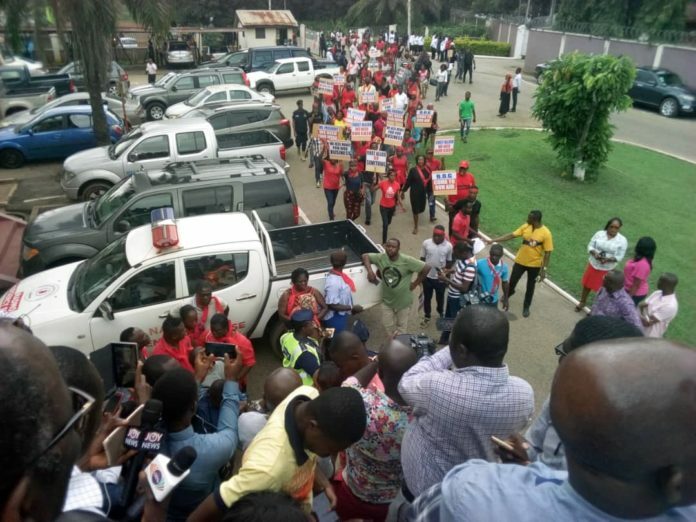 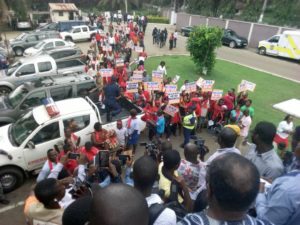 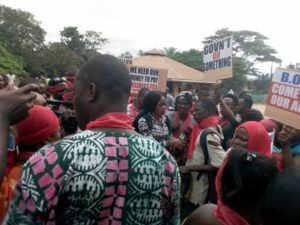 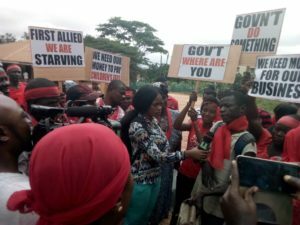 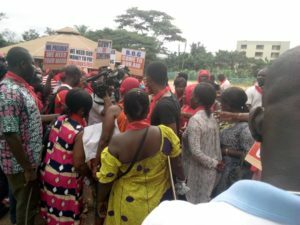 About 200 of the customers clad in red, gathered at the Kumasi Children’s Park on the morning of Tuesday, 2 October 2018 for the protest. They are marching through the principal streets of Kumasi and later proceed to the office of the Bank of Ghana (BoG) in the region to petition the central bank over the matter. 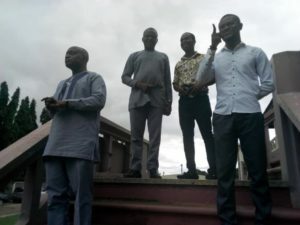 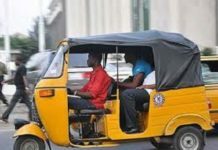 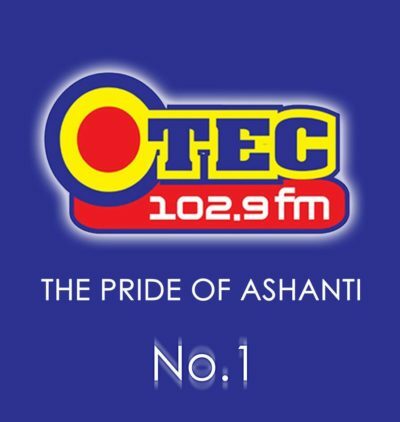 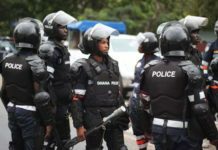 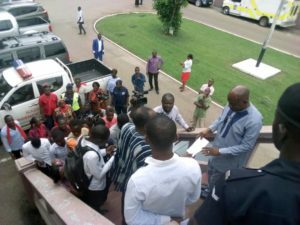 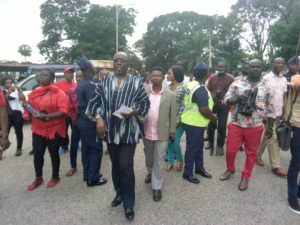 According the Otec fm’ reporter Isaac Nsiah Foster, the angry customers will also march to the office of the Regional Coordinating Council to also petition the Ashanti Regional Minister, Simon Osei-Mensah to ensure that they receive their deposits. 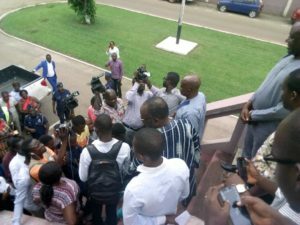 They are also appealing to the President Nana Akufo-Addo to order an investigation into the company’s inability to pay its customers for several months. 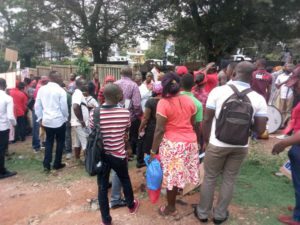 The group members said the refusal of the savings and loans company to allow them to withdraw their deposits has affected their businesses and families. 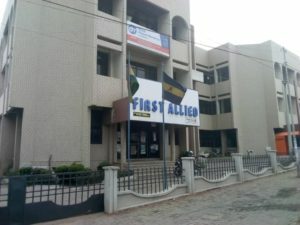 Some customers have also threatened to take legal action against the savings and loans company.